ACT FAST. LIMITED QUANTITIES AVAILABLE. DUE TO NATURE OF THIS PROMOTION, ALL SALES FINAL. ITEM MAY NOT BE IN INVENTORY AT YOUR LOCAL BRANCH. PLEASE ALLOW EXTRA SHIPPING TIME. STANDARD FREIGHT CHARGES APPLY. DISCOUNTED PRICING IS ONLY AVAILABLE FOR INVENTORY CURRENTLY IN STOCK AT TRIVANTAGE. Standard vinyl mesh fabric for sling chairs can feel rigid and uncomfortable. Sunbrella Sling stands out with a unique blend of strong PVC-coated polyester and soft Sunbrella acrylic material. A meeting place for stability and comfort, the vinyl upholstery fabric material sets the tone for a new market standard. 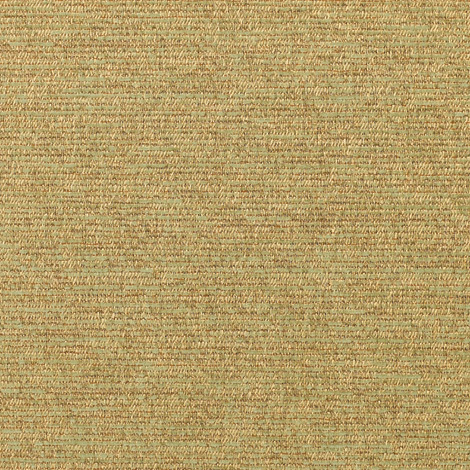 For increased depth and luxury, the heavy-duty outdoor fabric combines natural color palettes with novelty yarns. Subtle patterns help balance any décor or decorating fabric. The sling fabric is mildew resistant, water resistant, as well as resistant to fading and stains, for a modern designer style that's easy to maintain. Sunbrella Sling in Corcovado Lichen (5312-0001) is optimal for replacement upholstery, custom-crafted patio furniture, and other sling applications. Buy the sling chair vinyl fabric by the yard. Warranty: 5 years. Width: 54 in. Weight: 17.8 osy.